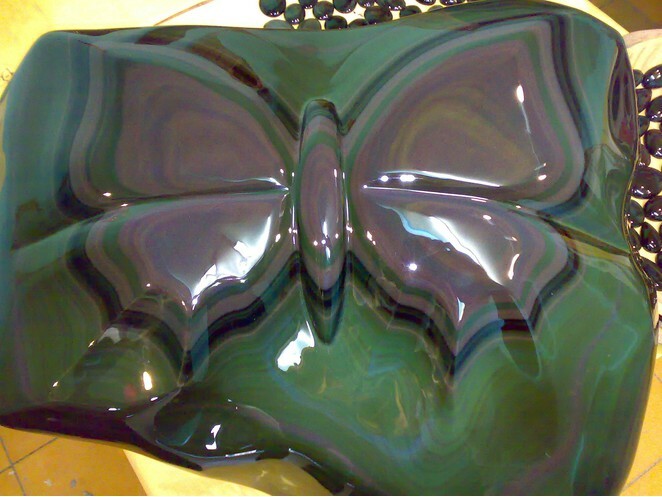 Rainbow Obsidian: Mineral information, data and localities. 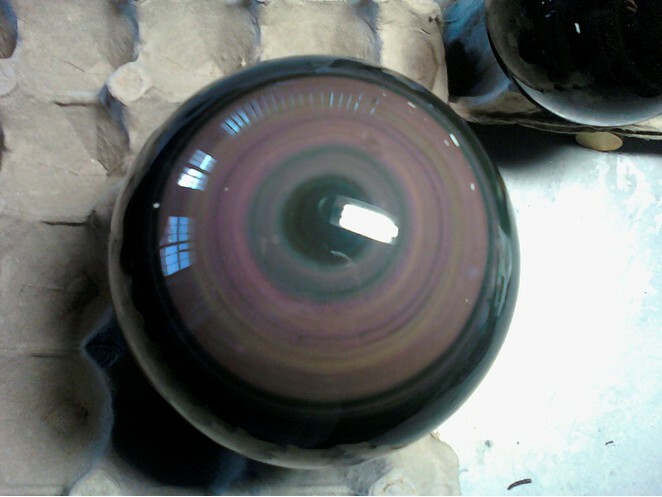 Obsidian with multicolored iridescence caused by inclusions of magnetite nanoparticles (Nadin, 2007). 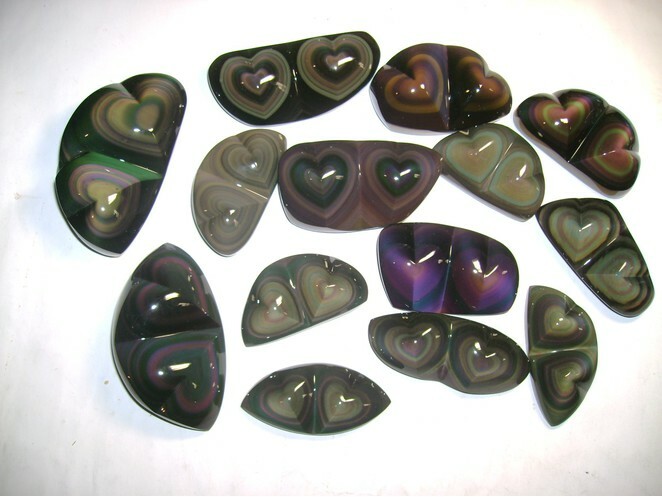 Visit gemdat.org for gemological information about Rainbow Obsidian. Obsidian is a natural glass and may have razor-sharp edges that can easily cut skin and flesh. Handle with care. Do not grind dry since long-term exposure to finely ground powder may lead to silicosis. www.vgms.org/bt/vgms0004.htm (The Ventura Gem & Mineral Society, Inc. (VGMS)).